Large group photograph of the Tom Mix Company. This photo shows a group of 50 or more people. Tom is sitting in the front row, just a bit left of center. The photo has a hand written dedication that reads: "To Bee from Arnold Ballard and The Tom Mix Company." 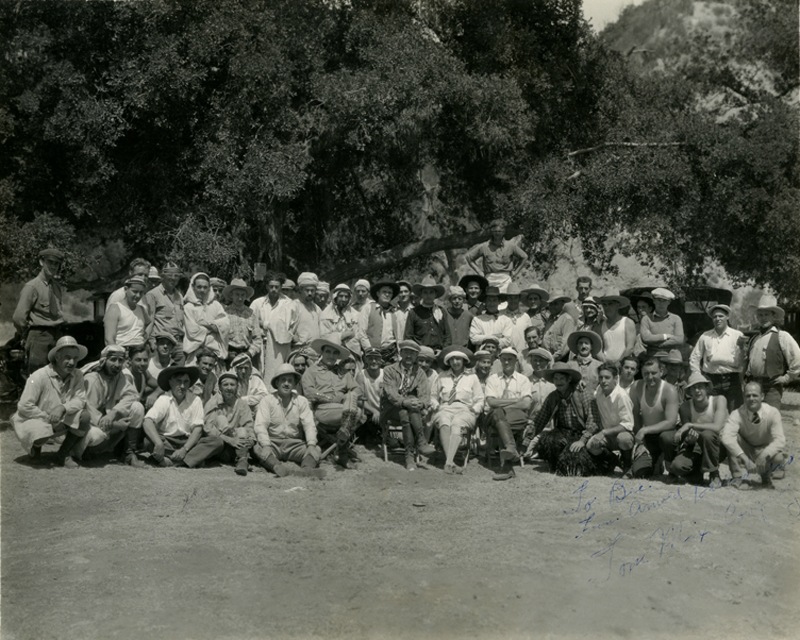 The back of the photo has a note that reads: "Tom Mix & Company on location at Newhall Calif. shooting scenes for Drums of Araby." This would have been the movie released as Tom Mix in Arabia, with a release date of Nov. 5, 1922. AL3022: 9600 dpi jpeg from original print.